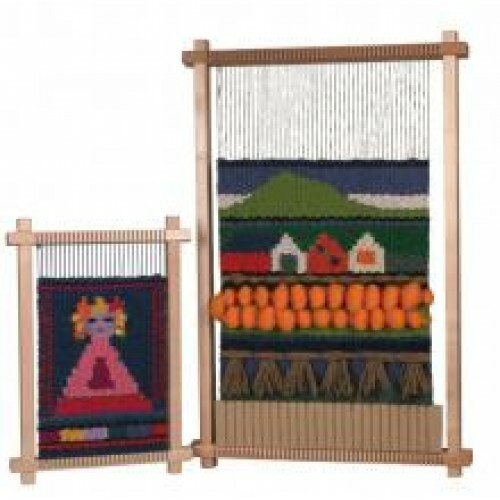 WFL -Weaving Frame Large 70 x 50cn / 27.5 x 19.75"
Home » Knitting Machines » Ashford Weaving Looms » Loom Accessories » WFL -Weaving Frame Large 70 x 50cn / 27.5 x 19.75"
A Weaving Frame is ideal for students or any weaver wanting a simple way to be creative. Create wall hangings, cushions, tablemats and coasters. The finished product can be left in the frame and hung - a framed masterpiece!